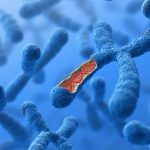 AmplideX PCR/CE FMR1 Reagents* are market-leading research tools for the detection of CGG repeats in the fragile X mental retardation (FMR1) gene. These reagents provide a PCR-only approach based on Triplet Repeat Primed PCR (TP-PCR) design to reliably amplify and detect all alleles including Full Mutations. AmplideX PCR/CE FMR1 Reagents* have created an easy-to-use, accessible, high performance method for laboratories to reliably analyze CGG repeats and detect interrupting AGG sequences in the FMR1 gene. Referenced in over 30 peer reviewed publications and used in over 200 laboratories, the AmplideX® PCR/CE FMR1 Reagents* are globally recognized as best-in-class for assessment of CGG repeats in the FMR1 gene. AmplideX PCR/CE FMR1 Kit is an in vitro diagnostic (IVD) device for use in clinical laboratories for detection of the CGG repeats in the fragile X mental retardation (FMR1) gene. The device is intended to aid in the diagnosis of fragile X syndrome and fragile X associated disorders, e.g. tremor and ataxia syndrome (FX-TAS) and primary ovarian insufficiency (FXPOI), through determination of CGG repeat length up to 200 CGG and detection of alleles greater than 200 CGG. 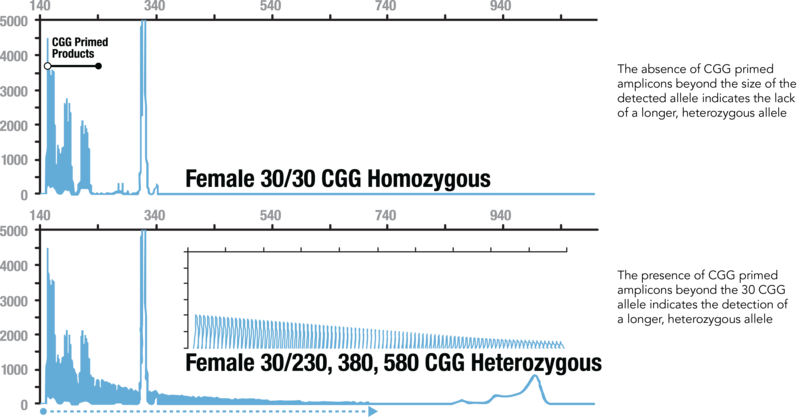 The kit provides a PCR-only approach based on Triplet Repeat Primed PCR (TP-PCR) design to reliably amplify and detect all alleles including Full Mutations. 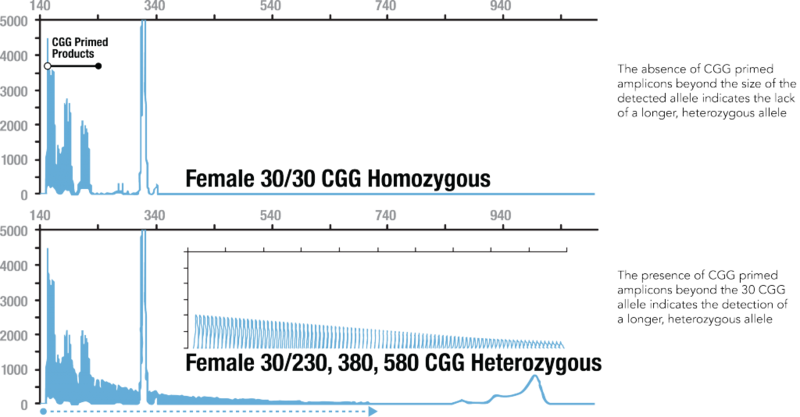 AmplideX PCR/CE FMR1 Kit has created an easy-to-use, accessible, high performance method for laboratories to reliably analyze CGG repeats and detect interrupting AGG sequences in the FMR1 gene.